Finally win the battle of the bulge! Fat reduction and skin tightening in a single treatment on virtually any area of the body! TruSculpt® 3D is the newest advancement in circumferential reduction and non-surgical body sculpting that offers both permanent fat reduction, and tightening all in a single session. With an average 24 percent fat thickness reduction, some have seen up to 30 percent, as measured by ultrasound, in a single treatment. It is RF (radio frequency) technology that delivers deep heating energy to adipose tissue for body sculpting. Shorter treatment times- only 15 minutes per area. 1Am I a candidate for TruSculpt® 3D Body Sculpting & Skin Tightening Treatment? We will determine whether you are a candidate for TruSculpt® 3D during the consultation. Typically, appropriate patients have a BMI less than 30, however most people are candidates for this procedure. 2How long does the TruSculpt® 3D treatment take? Treatment time depends on the areas treated. To treat an abdomen and both flanks (4 areas) will take about one hour. If only the abdomen, it takes a half hour. 3How many treatments will be needed? 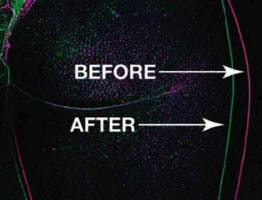 People typically see results after one treatment. Some people may elect to have a second treatment for final tweaks or for treatments on alternate areas. 4Can I return to normal activities after after TruSculpt® 3D? 5Can TruSculpt® 3D be used on all skin types? 6Is there any downtime after TruSculpt® 3D or side effects? There is no downtime or side effect after this treatment. The treatment area may or may not feel tender following the treatment but this will resolve within a few days. 7When will I see results after TruSculpt® 3D? After the treatment, your body’s immune system will start to break down and flush out the fat cells that were treated leading to circumferential reduction. Everyone’s body does so at a different rate however, on average, people will see results for fat around 6-8 weeks after the treatment and continuing improvement up to 3 months, however people report seeing tightening within two weeks of treatment. 8What can I expect during the Trusculpt® 3D treatment? TruSculpt® 3D is comfortable and requires no anesthetic. During your treatment, a hand piece that emits radiofrequency energy is placed over the targeted area. 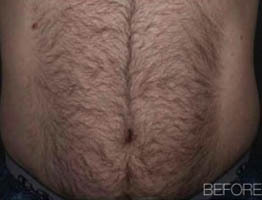 Pulses of energy cause fat cells to heat up and shrink, promoting skin contraction for a slimming and smoothing effect. There is no downtime with this treatment, allowing you to return to your normal activity following treatment. Most people report it feels like a hot stone massage. Patients will see significant improvement approximately 12 weeks following 1 TruSculpt® 3D session. Additional sessions may be required to obtain desired results.